Carrie Musick Cottriall is a highly regarded executive with more than 20 years of nonprofit experience. She is skilled in administration, organizational development, board relations, fundraising and marketing. She previously served as deputy director at the Timken Museum of Art in Balboa Park where she managed the museum’s administration, operations, human resources, marketing, visitor experience and technological activities. Prior to that, she served as the executive director of Project Wildlife, one of the largest nonprofit wildlife rehabilitation organizations in the United States. Cottriall earned her bachelor of arts degree from the University of California, San Diego. She has been with the San Diego Children’s Choir since 2015. 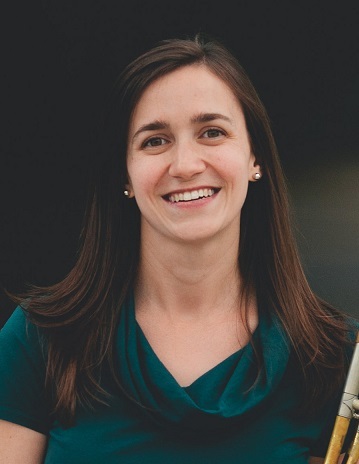 Ruthie Millard has a bachelor's degree in music education from Western Washington University (Dr. Leslie Guelker-Cone) and a master of music in choral conducting from the University of Oregon (Dr. Sharon Paul). Millgard started out in children's choirs as a girl, singing in the Boise Opera Children's Chorus and the Seattle Girl's Choir. After completing her undergraduate degree, she taught music to 6–12th graders in Queens, New York where she developed and implemented a comprehensive music program at a new public school. During her undergraduate and graduate training, Millgard performed with choirs in regional and national American Choral Director's Association (ACDA) conventions and in various venues across Europe. The chamber ensemble she sang at the University of Oregon won first place in the Fleischmann International Trophy Competition in 2013 in Cork, Ireland, competing against professional choirs from around the globe. More recently, Millgard conducted various district honor's choirs at the middle and elementary school levels. Graduate conducting coaching includes Oregon Bach Festival Artistic Director Matthew Halls, Matthew Oltman of Chanticleer and founding member of the Kings Singers, Simon Carrington. Millgard has been a teacher/conductor with the San Diego Children’s Choir since 2014. Margie Orem is an award-winning choral director who is devoted to music education for children and teachers alike. Since 1975, she has taught music at every level, from preschool through college. Orem received her bachelor's degree in music education and a master's in the art in teaching. She has completed all three levels of Orff and completed level one of Henry Leck’s Creating Artistry choral conducting program. Orem conducted the San Diego Unified School District's (SDUSD) honor choir in 1992, 1999, 2007, 2010, and the Tennessee All State Treble Choir 2017. She was honored as the Choral Director of the Year, SDUSD, 1999 and 2005 MENC/CMEA-SBR Outstanding Elementary Music Specialist. Orem served in many capacities for the San Diego American Orff-Schulwerk Association including president and local conference chair. She is a local and national presenter for the American Orff-Schulwerk and Kodaly Associations. She was a classroom music teacher at Jerabek Elementary School (1990-2017) teaching pre-kindergarten through fifth grade. Orem has been a teacher/conductor with the San Diego Children’s Choir since 2004. Michele Tondreau has more than seven years of nonprofit operations experience. Previous to the choir, she spent four years as operations coordinator for Catholic Charities and worked in ticket services at Lamb's Players Theatre and La Jolla Music Society. Tondreau earned her bachelor's degree from California Polytechnic State University, San Luis Obispo. She has been with the San Diego Children’s Choir since 2016. Lorry Comiskey is an experienced non-profit operations coordinator with a passion for ensuring the highest standard of client and guest services. She has previously worked for a range of non-profit organizations including Discovery Science Center, Baltimore Area Convention and Visitors Association and the California Science Center Foundation. Lorry has lived in San Diego since 2013. 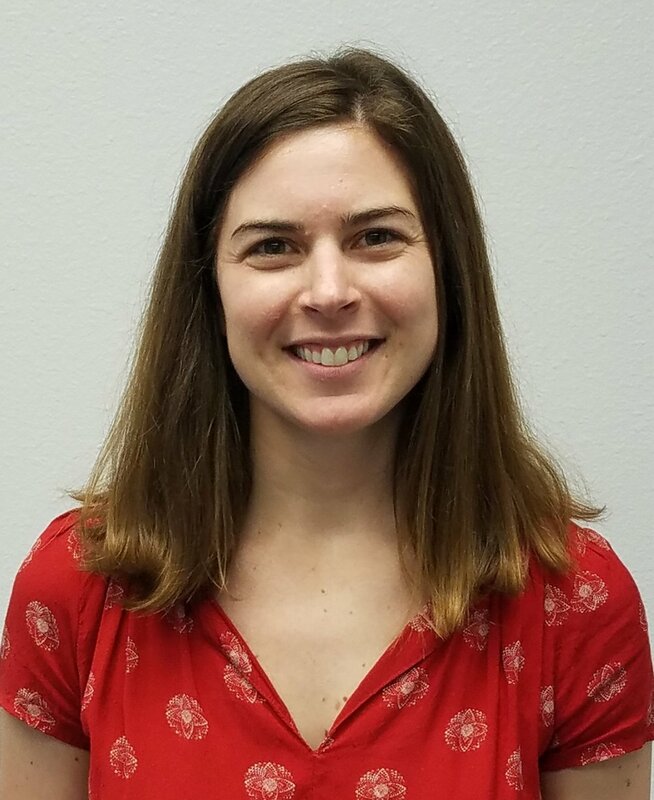 Abby Greathouse is a graduate of Point Loma Nazarene University where she earned a bachelor's degree in music in piano performance and a bachelor of arts in music education. Along with being a Neighborhood Choir director, Greathouse is an accompanist for the Choir. Greathouse maintains a private music studio in North County and the Point Loma area where she teaches piano and voice. She is a member of the Music Teachers National Association (MTNA) and is a Nationally Certified Teacher of Music (NCTM). Niki Miragliotta earned her bachelor of music degree in music education with a minor in jazz studies from James Madison University in Harrisonburg, VA, and her master of music education degree from the Hartt School of the University of Hartford. She is fully Kodály-certified and Level I Orff-certified, and has taught level I Kodály Pedagogy at Midwestern State University in Wichita Falls, TX, and Kodály workshops at the State University of New York in Fredonia. Miragliotta taught pre-school through 5th grade general and choral music for nine years in Virginia, where she was awarded Teacher of the Year. While teaching, she served as clinical faculty for three universities in the Shenandoah Valley, mentoring student teachers and music education practicum students, and was a frequent guest speaker at all three colleges. Miragliotta was recently a guest conductor for the Middle School All County Chorus in Shenandoah County, VA. She also served on the board for the Shenandoah Valley Children’s Choir. Niki is an active trombonist on the side – she has played in the Staunton Music Festival, several orchestras, musical pits, a British-style brass band, and worked with her trombone quartet to put on an annual trombone workshop called “Tromblow’in!” in Virginia. Dan Moyer holds a bachelor’s degree in music education from West Chester University of Pennsylvania with a concentration in vocal music. Moyer’s experience as both a soloist and a member of an ensemble includes performances of choral masterworks, chamber music, opera, and oratorio as well as musical theatre, folk, and jazz music. Along with working as a Neighborhood Choir director, Moyer works as a voice faculty member at Villa Musica, and a vocal coach at Westview High School in the Poway School District. He also teaches individual voice lessons, and is a tenor soloist and section leader at St. James by the Sea Episcopal Church, La Jolla.